It started as a conversation between two friends fuelled by a week of unfair bullying from the Tory press on Labour Leader – Ed Miliband. “Shall we try to get this trending?” We uttered in amusement knowing how tough & fickle twitter can be! In the end we (@charliewoof81 & @jon_swindon) decided to give it a go! Nothing to lose right? Even if we were the only ones to tweet it, we’d take pride in showing the world that despite the diatribe of abuse we are battered with on a daily basis that we appreciate Ed & back him 100%. We set about making some pictures featuring the hashtag #webackEd & at 7am on Saturday morning I started tweeting it to everyone I knew from followers who weren’t that political to shadow cabinet members, Jon took over in the afternoon when I was busy working and shared with his thousands of his followers who already hang on his every word as a Labour activist firebrand. That change is Labour! 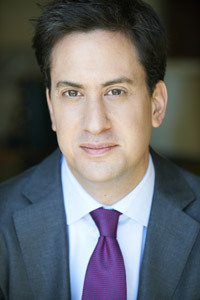 Labour lead by Ed Miliband.